Television is a blood-sucking parasite, at least when the set is switched on! A popular guide to the Holy Land. Reflections on ethical issues such as: Marriage and Family life; Marriage and Divorce; Drugs; The Borderline of Human Life; Test-tube Babies; Organ Transplants; Capital Punishment; War and Disarmament. Reflections on ethical issues such as: The Relationship between Family and School; The Position of Adopted Children; The Position of Handicapped Children; The position of Elderly People; Organized Labour; The Importance of Prayer. 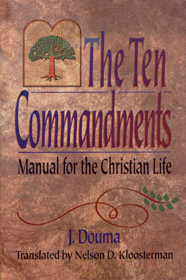 Sojourners and Citizens; God's Providence and our Responsibility; Revelation Versus Speculation; Through Love be Servants; Being a Living Member; Entertainment; The Keys of the Kingdom; Human Intelligence Versus Computer Logic; Moral and Social Implications of the Computer; Health and Environment; Aging and Health; Dealing With Grief. A series of essays about sects and ideas which confuse the mind of the believer. Sects and ideas dealt with are: Jehovah Witnesses; Neo-Pentecostalism; Horizontalism; Mormonism; Roman Catholicism; Dispensationalism. A study of the relationship between the Christian faith and other religions. A translation of poems by the Dutch poet De Decker who was a friend of Rembrandt. The poems are introduced by the translator, Henrietta Ten Harmsel. Also included in the appendix is the Dutch original text with footnotes. According to the author, evil is a very real entity, a consequence of sin and God's hand of judgment on a fallen world, which may not be ignored or explained away, but which must be confronted, recognized for what it is, and challenged. This book is an attempt to show that there is a Christian alternative view of life that can give us an understanding of the fundamental problems of education. To discuss the idea of a Christian college is to think about both "curriculum" and "community." This short book is a down-to-earth exposition of the plan for a Christian college.